Beachfront luxury. One, two and three bedroom suites. Nicely equipped kitchens, some even include washer, dryer and dishwasher! 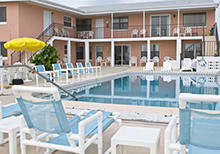 Swim in our sparkling heated pool or relax on our deck overlooking the ocean. 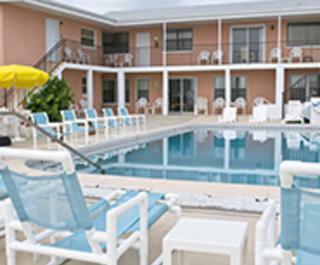 Guest amenities include shuffleboard, BBQ, FREE local calls, newspaper, coffeemaker, wireless Internet, flat screen TV's and more. Check us out on Tripadvisor!